Floramato is a one-part concentrated dry nutrient designed for long-term flowering crops. 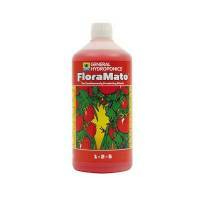 Floramato GHE is a one-part concentrated dry nutrient designed for long-term flowering crops. Like all other GH nutrients, it is pH balanced, so you don’t have to chase the pH up and down like other company’s fertilizers. For heavy-flowering crops like like tomatoes, peppers and cucumbers over a long cycle, FloraMato is an excellent plant nutrient. FloraMato - mixed with FloraMicro - provides a complete blend of the essential minerals needed by continuously producing plants like tomatoes, cucumbers, peppers, beans, melons, strawberries, etc..